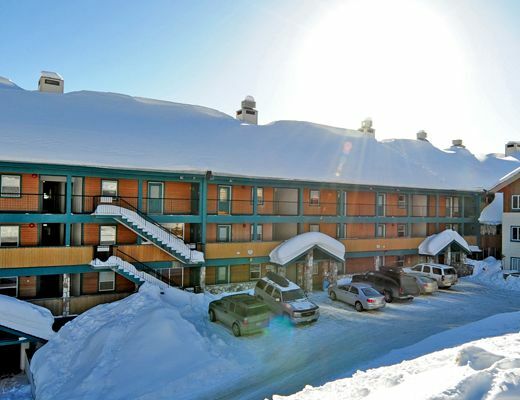 Located in the lower village and with easy ski-in/out access, Chateau on the Ridge offers comfortable accommodations for your next vacation to desirable Big White. Tastefully decorated with relaxed furnishings and subtle alpine accents, guests are able to settle in to the warm and welcoming atmosphere with ease. With majestic views of the mountain scenery and a well-appointed interior, this lovely condo rental promises rest and relaxation. The fully-equipped kitchen is host to modern appliances, shaker-style cabinetry and spacious breakfast bar for an informal dining option, while the living room offers a cozy rock fireplace and inviting appointments. The two bedrooms and baths feature modern fittings and fixtures, ensuring all the comforts of home. With five common hot tubs available for guest use, this property is certain to be a pleasant addition to your resort getaway. Chateau on the Ridge: Lodging with charm.